Specialist automatic driving school for automatic driving lessons. Learn to drive an automatic car with an approved local instructor. 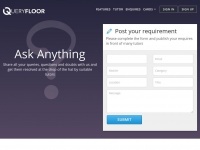 Queryfloor offers tutoring services and helps students connect with tutors and institutes. Find online tutors, home tutors, and private tutors in your area. Become a student questions and problem solver with your answer.